News / Book launch at Longyear! 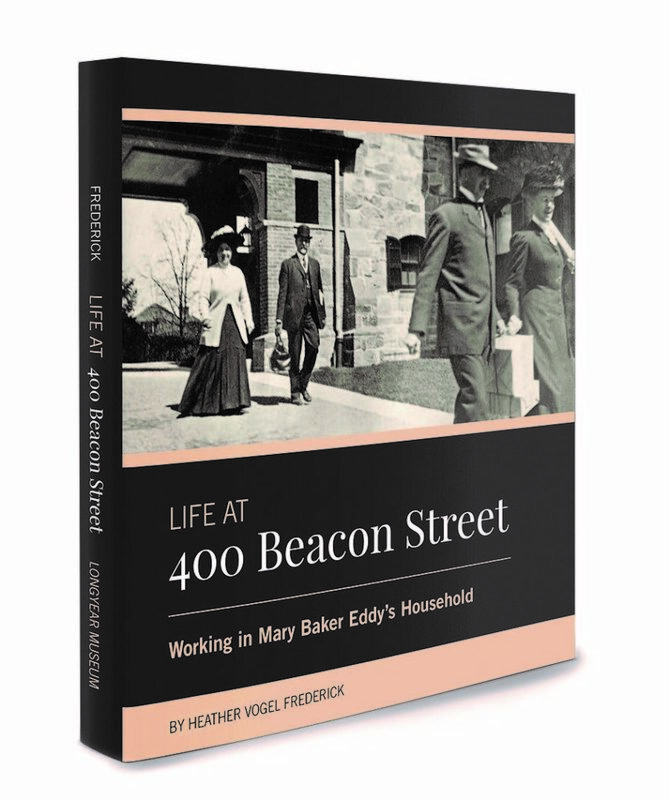 Join author Heather Vogel Frederick, who heads up Longyear’s Research and Publications team, as she kicks off a nationwide series of book talks about Life at 400 Beacon Street: Working in Mary Baker Eddy’s Household, a new publication from Longyear Museum Press. Heather will share inspiring stories of the men and women who served on Mrs. Eddy’s staff between 1908 and 1910. From all walks of life, these were ordinary people in extraordinary circumstances, invited to join one of the most mentally active, high-profile households in the world: The home of the Discoverer, Founder, and Leader of Christian Science. Heather will also relate some of the surprising discoveries that came to light during the research process, and share insights about the important work that Mary Baker Eddy completed during her three fruitful years at Chestnut Hill. A book signing will follow the talk (which lasts about an hour), and refreshments will be served. Copies of the book will be available for purchase, and can always be ordered on our online store (click here to order a copy). For more information, e-mail us at letters@longyear.org or call 800.277.8943, ext. 275. Additional book talks are currently scheduled in St. Louis, Atlanta, Los Angeles, San Diego, and Washington, DC, with more dates and venues to come. Click here for the most current schedule. Above photo: Members of Mrs. Eddy’s Chestnut Hill household, circa 1908. Longyear Museum collection.